Have you ever wondered why the religious "spiritual elite" pharisees, the priests of the synagogues, the Jewish theological Bible Scholars of the day were unaware of their Messiah’s birth...yet...the nonreligious, "spiritual pauper" sheep herders received the announcement of, and an invitation to go where the child lay to worship the Christ child. Why was the great spiritual event of the birth of the Savior not revealed to the religious Bible Scholars skilled in their own eyes and/or in the eyes of the religious world? Surely God knew that it would be the ultimate insult to those who pride themselves in their theological expertise, by revealing this liberating spiritual event to the unschooled "spiritual paupers" in religious theology. 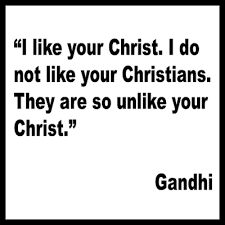 I have noticed striking differences between Christians and Christ. I find this ironic because you would think that people who would preface a name-tag that they are known as with Christ, (Christ...ian) would live like and find their identity in Christ rather than living like a religionist and finding their identity in denominalism. One problem that a lot of Christians have that Christ didn’t have is developing a relational friendships with people who believe different than they do or who are not believers at all. And in most cases Christians have only a superficial relationship with people who believe the way they do. 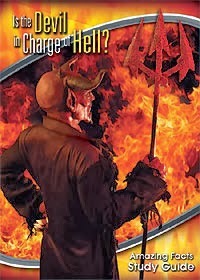 When Christians try to befriend others, including nonbelievers, the doctrine of hell looms large. Fear of God sending people to hell propels most Christians into such an unloving state of mind that it renders them unable to relate to the very people they feel so cocksure are going to hell. In the movie, Jesus (who is in fact the figure of the Antichrist/Satan and not the true Jesus) is depicted as God and has all the attributes of God. 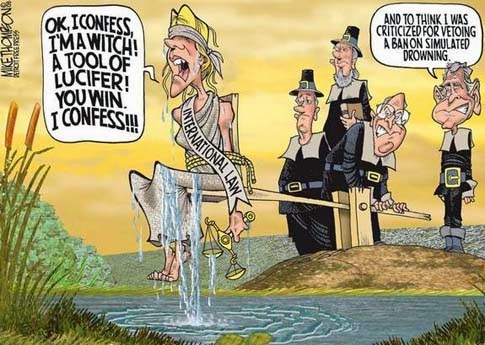 The Antichrist is the master of disguise and has deceived many in the Community of the Redeemed yet, they are unaware they are deceived and are singing his songs of deception as if they are godly. Who can dispute that we are living in a day where we are seeing an increase in Satan’s efforts to trap people in sin...and I am not referring to the overt sin that the sin condemners are preaching against that is rampant the land. 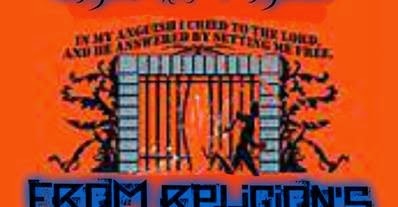 I am referring to him being among us as an angle of light standing among us as He tries to solidify his stranglehold of deception on all of God’s creation especially believers.. 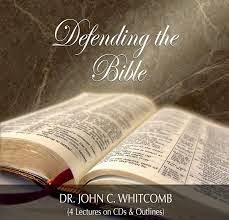 Does the Bible need your Defennce? What if the Bible was treated by believers the way it was meant to be and not idolized and understood to be the Living Word? 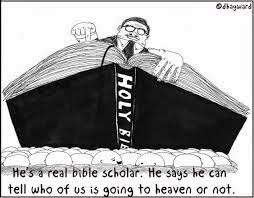 What if the the Bible doesn’t need to be protected and defended, by the literalist, but rightly understood in the reality that it is? What if the real problem isn’t the Bible but the false expectations religionists sometimes bring to it? If we let the Bible be the Bible rather that try and make it what we want it to be...what we think it ought to be...or need it to be...we will not only find a deeper understanding of its truth, we will also find a God that loves people without condemning them, and a Bible that does not need defending in the process. That to most Christian religion pulpit preachers is the essence of the gospel. 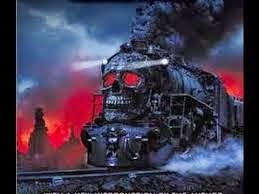 Earth is the train station whereby you can deboard the hell-bound train...that you have been traveling on since you picked up your hell-bound ticket at birth...and board the heaven-bound train, provided you have your salvation ticket by having said the “sinners prayer” here on earth. Now mind you, you did not have to do anything about picking up your ticket for the hell-bound train, you had no choice in that matter. God saw to it that you acquired that ticket the moment you were born...that is the way most religions see it. Anouncing the Gospel vs Living the Gospel. In the modern Church, people are more concerned about announcing what they BELIEVE about God than LIVING as the Community of the Redeemed so that God will do His work through them in the Community of Humanity so others will believe in God. 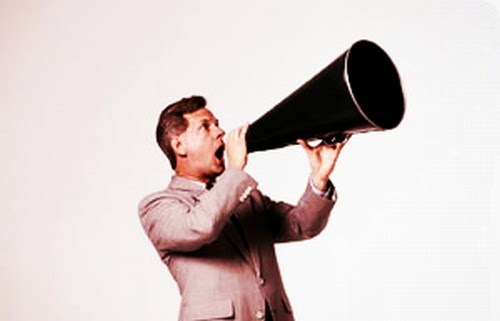 The modern Church, without a doubt, can shout the Gospel out without living the Gospel out. They can quote and twist scripture to validate man-made doctrines to validate their creed. Such actions suggest that these religionists are so completely locked into their belief systems that they have relinquished all responsibility for reflective analysis as the Bereans did. They are, for whatever reason, unable or unwilling to question, probe or show any doubt about what they believe. They settle for a second-hand doctrines that offers them...security (heaven when they die)...comfort (God is on their side)...and feelings that they are really special (they have the truth)...therefore, they are going to escape tribulation and hell. Is there more to Jesus and His Gospel? Is what we see and hear in Sunday-go-meetings all there is to Jesus and His Gospel, or is there more to the Gospel and Jesus than we have been led to believe? Could it be that what is missing in relationship with God is actually that we are not focused on Jesus as the centrality of the Gospel...without our realizing it because we are so focused on religion as central to the Gospel? Aren’t people who claim to be believers suppose to follow Jesus and allow His life to be lived through them? As the Community of the Redeemed should we not be focused on Jesus and bring His grace and love to the Community of Humanity to influence and transform people rather than being escape artists who are seeking to escape from the world by some secret rapture. Jesus, protect people from those who claim to be Christians and call themselves your followers, many of who hang out in what is called sacred buildings where on times they berate, manipulate, control, abuse, judge and condemn people because they do not believe as they believe. 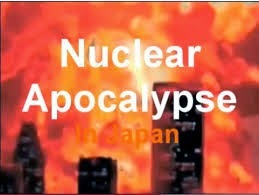 According to the chicken-little fear-monger's mongering fear tactics “The Sky Is Falling In”. 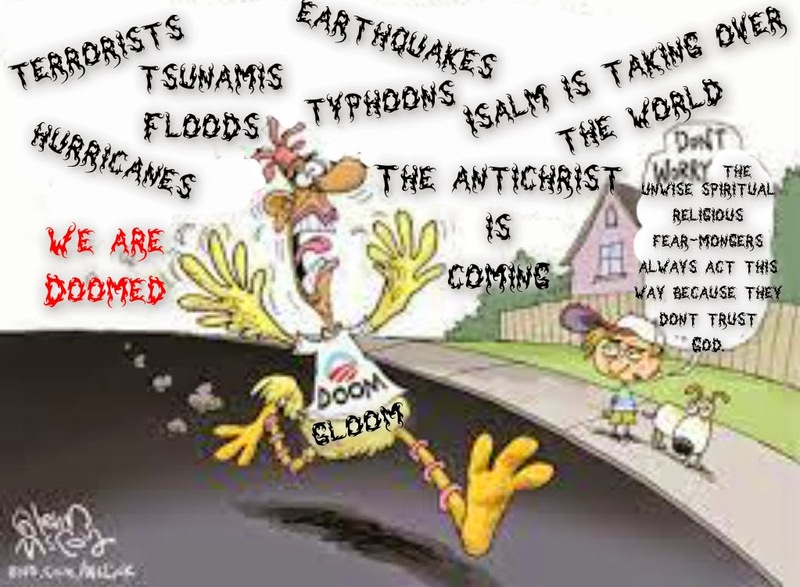 The gloom and doom say-ers have more faith in Islamic power to bring destruction and chaos and give rise to “the antichrist” than in God’s power of love and grace. These gloomers and doomers sing their song of “gloom, doom, despair and agony on me” and encourage people to take a stand against what is happening on the world scene, if not we will be overthrown by the terrorists, our cities will be flattened by tsunamis, hurricanes, earthquakes, floods and typhoons brought on by God because of the sins of the people. Should not the gloomers and doomers know, if the Bible...a book they believe is error-less...prophesy's such, is not standing against all the perceived evils the Bible prophesies will happen, standing against the Bible and God? Are Men Better at Loving People than God? God said..."let us make man in our image" and in His image created He them (Gen. 26-27). God's creation of man was the crowning glory of His creation...that means that there was nothing in all of God's creation any more important to Him than the Community of Humanity. God created man to be in fellowship with. Before any person is conceived God knows them. God created people out of His love and a desire to be loved by them. While people are in the womb God loves them. When people exit from the womb God loves them. 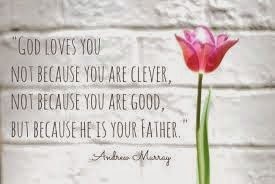 God's loves people from infancy to adulthood. God loves people from the beginning of adulthood to the end of adulthood. 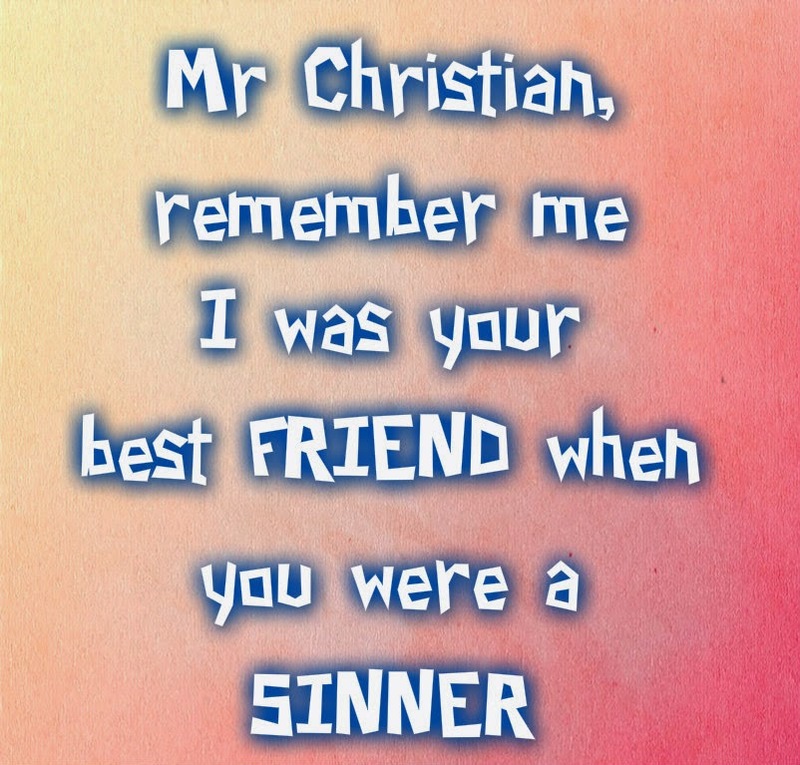 God loves people...sinner or saint...from the cradle to the grave. God knew that the vast majority of people He created out of love and loved would die either not knowing anything about Jesus, not hearing the gospel, or would not choose to accept what the gospel that is preached. Yet He created them and loved them! "Of His fullness have we all received, blessing upon blessing (John 1:16)." Just how full is "full"? How many people does "all" include? We have to believe that full means complete, and all includes all. "Of His fullness we have all received." No one, no matter how "anointed" they may appear, has more of His fullness than anyone else. And if we have received it already then there is nothing for us to DO to get it. If I leave here to go there, once I am there I do not have to do anything else to get there...I am already there. We entered into Christ when He entered into us: we do not have to enter into Him over and over again to get Him to enter us...He is already there. The Hell of Hell is Hell! People, what can we to do about all our sinning sin? Strive to keep the rules of religion so God will not condemn? As religion on us lays, by playing the blame game. Oh...you didn't read your Bible enough, pay enough tithes or say the "sinners prayer"
And now hell fire stares you in the face, causing you much despair. In it you will spend year after year, world without end...no wonder the religious gospel causes so much fear. Don't despair from fear that you will go to such a religious place. Jesus did not teach such a despicable cruel doctrine. That was devised by man, and is man's concoction. Don't be trapped in religious deception used to keep you under its control. God loves you with a love that can never be bought or sold. God has dealt with the issue, there is nothing for us to do about sin. Is the English Gospel of the western world preached from the different denominated pulpits "good news" that was announced at the birth of Jesus Christ? The beliefs of the followers of religion are completely arranged around their beliefs based on their interpretation...or I should say misinterpretation of the Bible. The false sinister religious doctrine that is propagated that says: If I am faithful God will bless me…If I do this, God will do that for me… If I serve him, then my business is going to prosper… if I tithe, I will be blessed of God… The doctrine of “Divine Retribution” is the idea that God will return blessings for good doing and vengeance for wrong-doing. In short, God rewards people for being good and punishes people for being bad. In simplistic terms, divine retribution sees all negative situations as God’s punishment, and all positive situations as God’s blessings. This thinking is a spillover from the pre-cross law keeping gospel. TO MAINTAIN AN INTIMATE RELATIONSHIP WITH GOD WE MUST REPENT! We are so used to tolerating sin in our lives that we fail to see it as sin that needs to be repented of. But if we desire to follow Christ there comes a time when the Spirit of Truth reveals the sin we commit as “sinning saints” that is not considered "sin" because of the deception we are in. In humbleness of heart and spirit we must repent. Have we given to God our sacrifice of a broken spirit and a contrite heart, without a broken spirit and a contrite heart demonstrating the grace and love of God our sacrifices to God futile sacrifices. 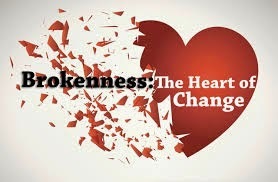 "The sacrifices of God are a broken spirit and a contrite heart--these, O God you will not despise" (Ps. 51:17). Do believers have a broken heart over the way denominations segregate the Body of Christ? Do believers have a broken heart over the way religionists judge and condemn people whether they be “sinning sinners” or “sinning saints”? 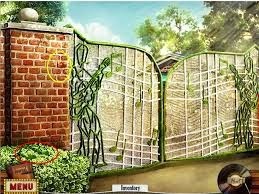 Some People Enter the Grace Gate, then are Deterred from Walking the Grace Path. The Believer’s life is a life that is lived IN CHRIST. That is to say, to allow HIM is to live HIS life through you is to live life as a Believer. The Gospel of Grace is not a works oriented...it is relationship oriented. 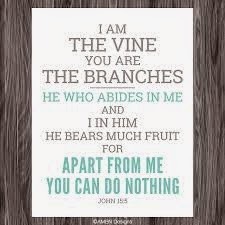 A Believer is a branch that grows out of the Vine (Jesus) and continually produces abundant fruit for the Husbandman. 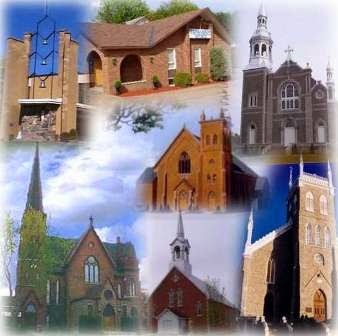 The true “Church” is a living organism, an observable reality, not man-made philosophies or set of teachings. Many of you have had some devastating circumstances last year that had you feeling like your heart was being ripped out of your chest. 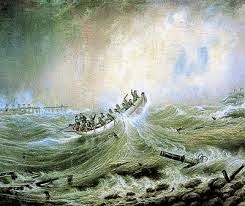 The storm sank your hope-ship and also threatened to sink the lifeboat that you depended on for survival? The wind, the waves of adversity, the surges of heartbreak rolled, one after another. How did you survive? How did you pull through when you were at weakest point? Because, in the middle of your storm, you heard a still small voice telling you that God provides sufficient grace for this trial, and though you are weak He is always very strong. 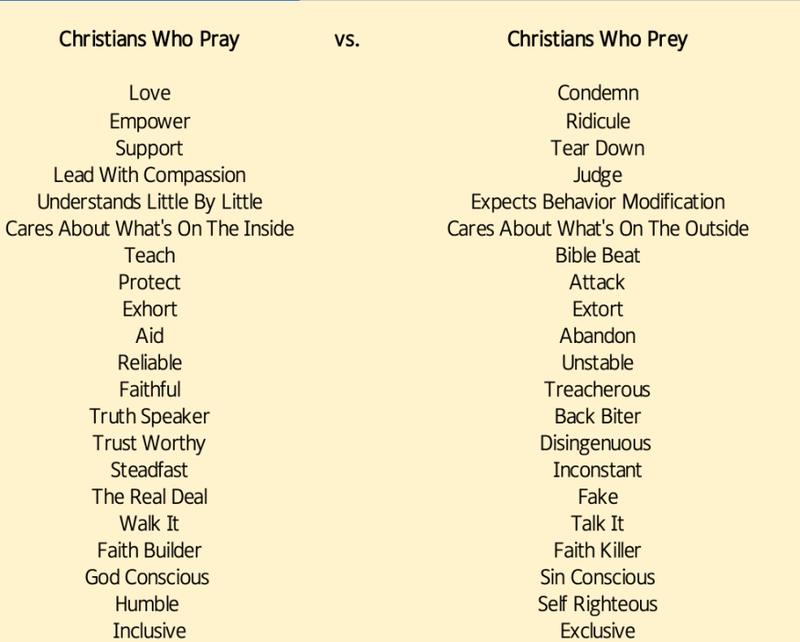 Is your praying more about preying on people rather than praying for people. Evil committed for religion by religious people is the evilest form of evil because it defames God’s name. And belief in a morally demanding and morally judging God of love as the only means to a better world is the heart of the Gospel. When God is rendered the source of evil rather than the source of good, hope for a good world is shattered. 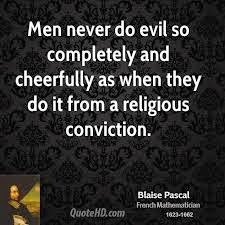 Understanding evil done in religion's name is difficult because of living in and agreeing with religion’s deceptive deceptions. Claiming that their interpretation of the Bible is absolute truth. Giving blind obedience to religion’s hierarchy. Establishment of the "ideal" end-time starting point by taking events that are happening in the world and fit them into the end-time jigsaw puzzle to validate their ludicrous predictions (that historically have failed them in the past) to come to pass. When people have an end-justifies-the-means mind-set. 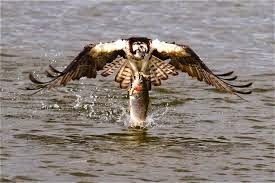 Fear-Mongering people are like birds of prey soaring in their self-righteous spiritual heaven of high mindedness, waiting to swoop down on the spiritual uninformed and and the religiously deceived to scare the hell out of them in effort to conform them to their like mindedness. 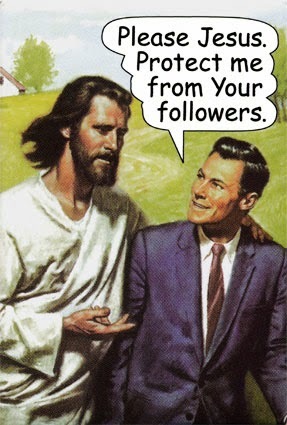 The spiritually uninformed are overwhelmed and deceived by their self-righteous piousness and deceptiveness and become trapped; they fall prey to the strength of religious self-deception a weapon that the devil has used to remove Jesus from the Headship of His Body and made Him subservient to man's philosophies. Oh, they lip-service Jesus as Head, butfrom the same mouth pay homage to the man-made hierarchy as the controlling head, which they then confirm by the upholding man-made beliefs in their actions. 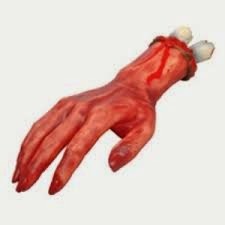 Is Jesus using another metaphor when He tells us to gouge out our eyes and chop off our hands. Jesus is using strong words to reveal something about the seriousness of sin but, He’s not teaching self-mutilation, He's teaching "self-denial" says the preacher. Spiritual Barrenness is Not a Spiritual Wilderness Adventure. One of the cries of spiritually dissatisfied people is: "No one understands me." "No one understands the frustration I am feeling on the inside that all do not feel right." Their cry is not one of self-pity, as is often said by the pious pulpit-teers...it is an honest realization and admission that their spiritual lives are lived in frustration and quiet desperation that they can conceal no longer. They sense that there is so much more to a relationship with Christ than the ritual status quo and they seek for an understanding heart and ear, but there is none. 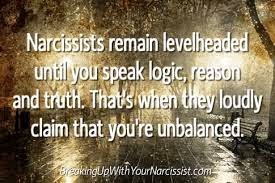 They long to break free from their mundane image projection of having it all together by smiling faces doing the do's and not doing the don'ts mentality confirmation...while the real person remains unknown and subdued. The desire to be authentic overwhelms them, but is stifled by the realization that further misunderstanding and rejection will be the result if their questioning continues.